The sordid details are in the below article. 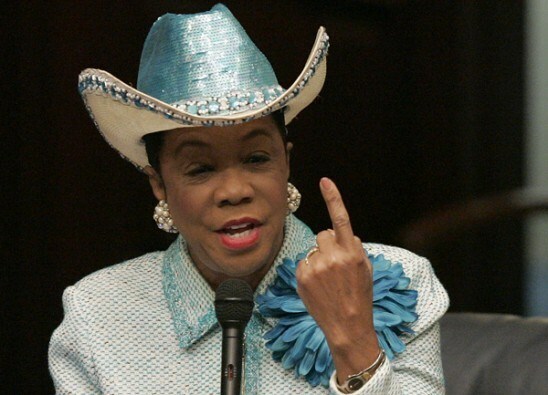 We’re trying to figure out what’s racist about the term “empty barrel.” Rep. Frederica Wilson (D-Fla.) says it is, but Google isn’t showing us how. Nor can we see why she had to go there. Wilson had slammed President Trump’s words in a phone call to the family of Sgt. La David Johnson, killed in Niger. For what it’s worth, video suggests he was wrong in hitting her over her remarks at a 2015 FBI ceremony. [Note: Kelly said Wilson crowed about helping "fund" the FBI building when she actually crowed about helping "name" the FBI building.] If she had to keep this flap going, she could’ve focused on that [irrelevant, minor point]. A reflexive resort to crying “racism” does not serve Democrats well. As Andrew Sullivan notes in New York magazine, many on the left now even say that national borders are themselves racist — a lunatic claim sure to drive moderate voters into Republican arms. There are no winners here, but Wilson seems determined to be the biggest loser.